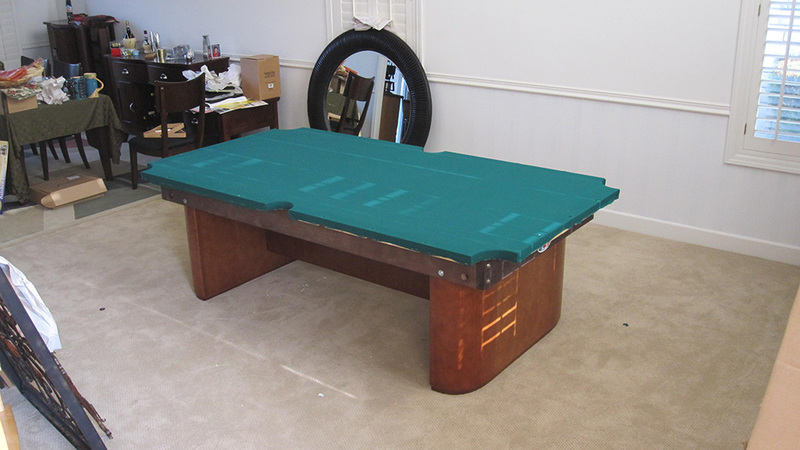 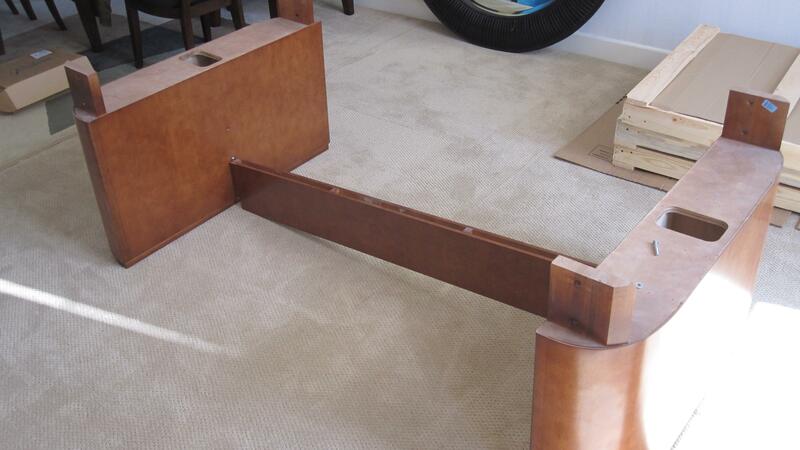 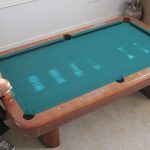 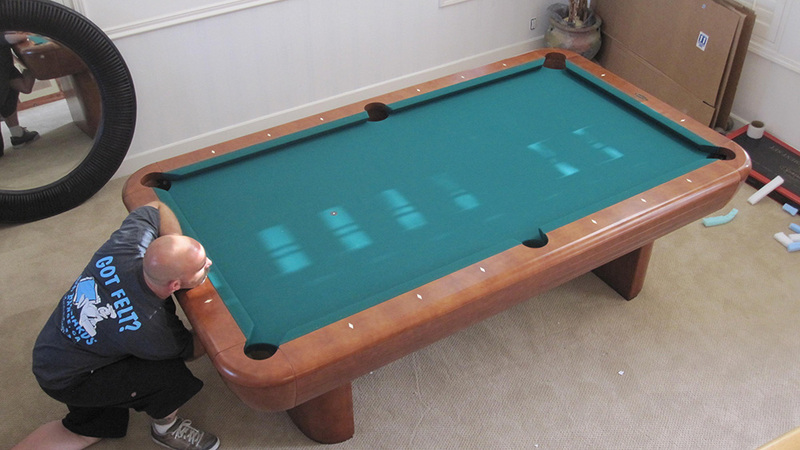 On occasion, we run across a pool table setup that is a little out of the ordinary. 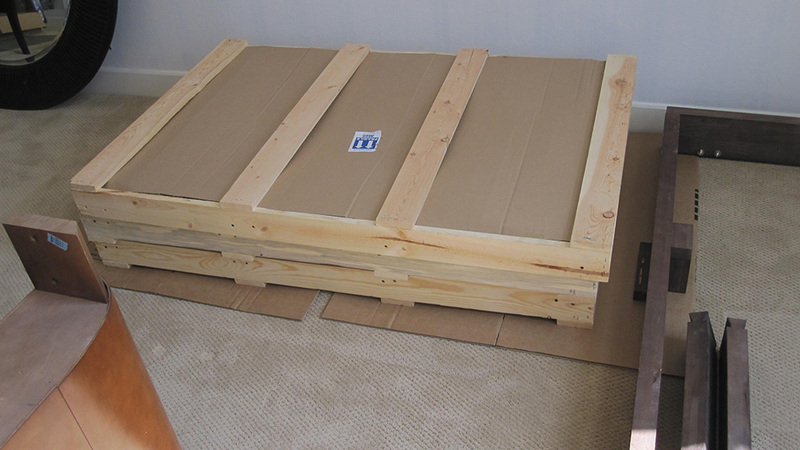 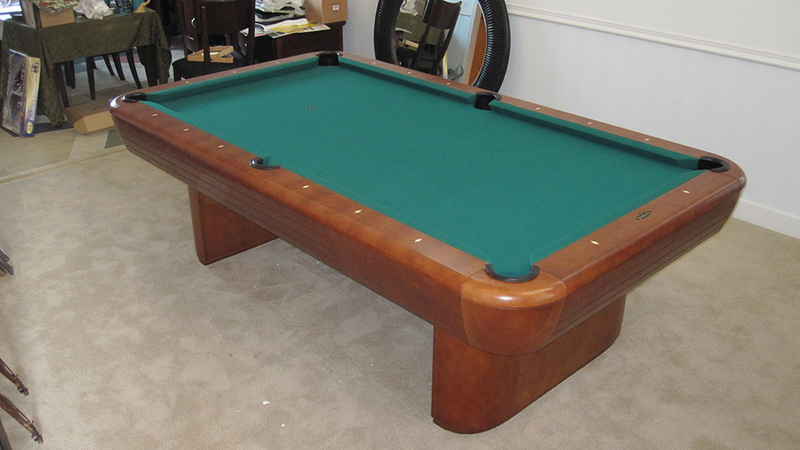 This beautiful Brunswick “Gibson” traveled from Utah to Yorba Linda, CA. 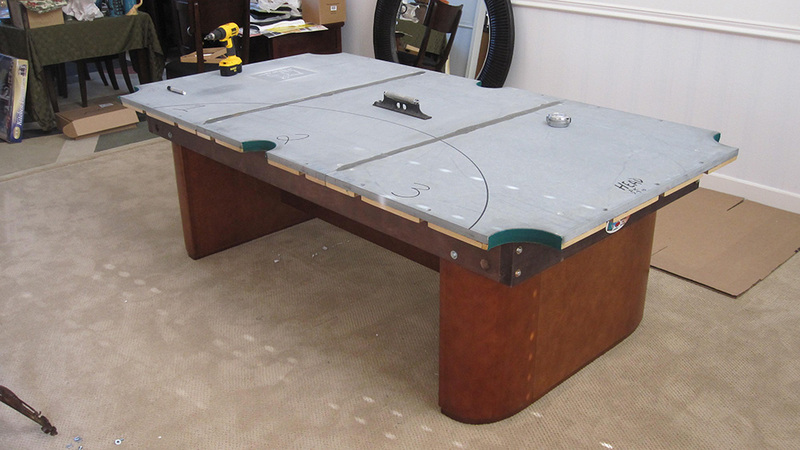 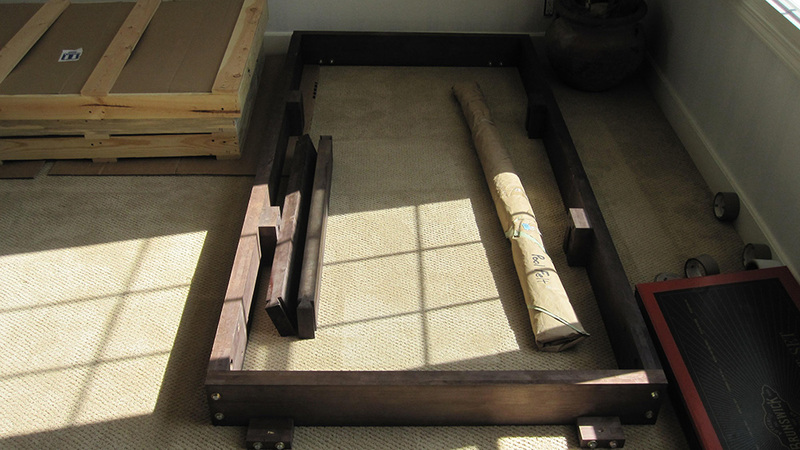 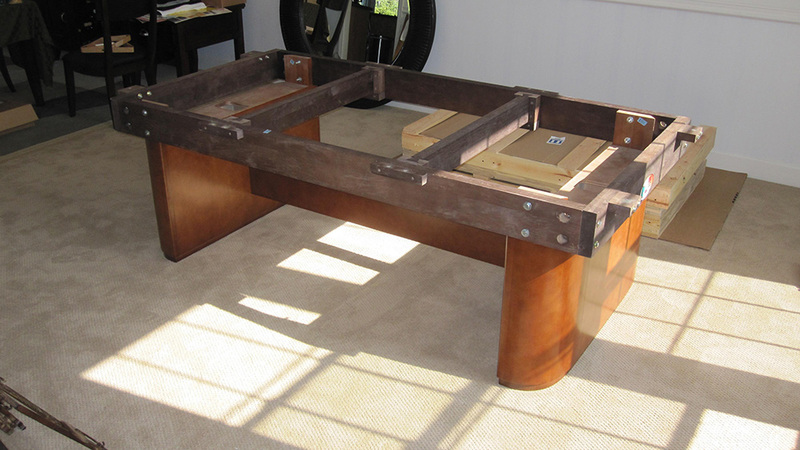 Now, this isn’t your average, run of the mill, antique style pool table. 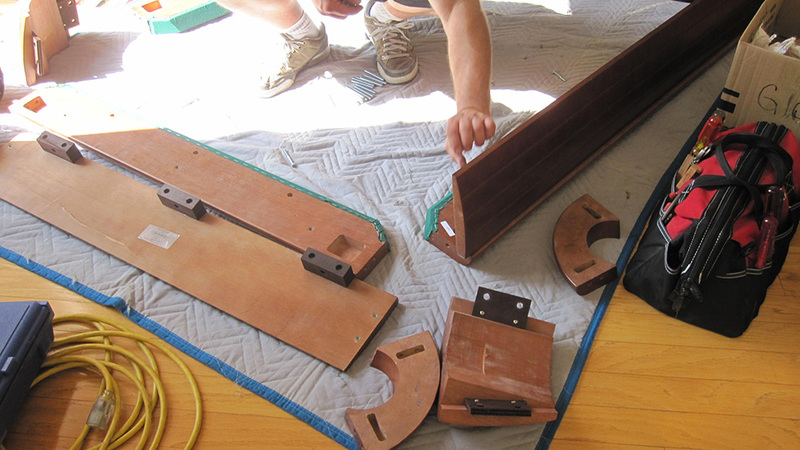 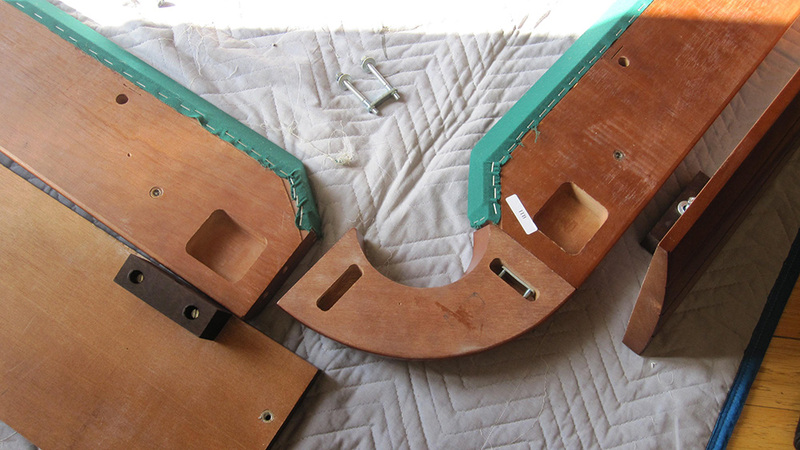 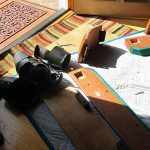 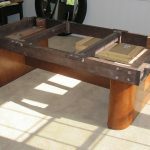 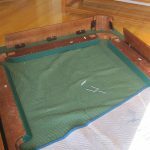 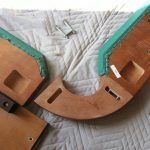 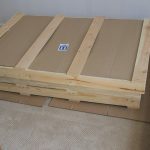 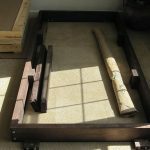 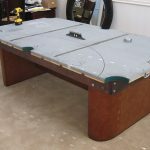 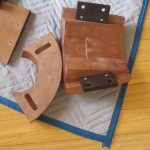 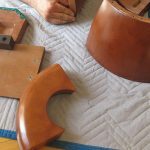 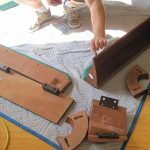 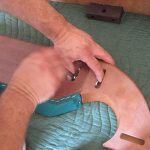 As you can see in the photos, there are a lot of specialty pieces that must be carefully aligned to make this pool table come together as it should. 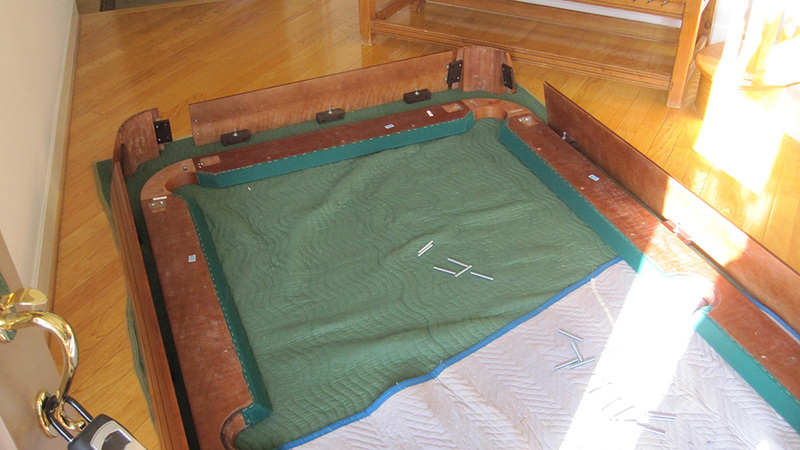 This pool table is a take on Brunswick’s “Anniversary” model. 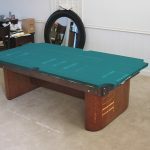 The original model was produced around 1945 and featured aluminum top rail and blind apron corners. 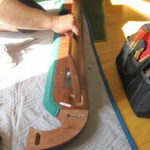 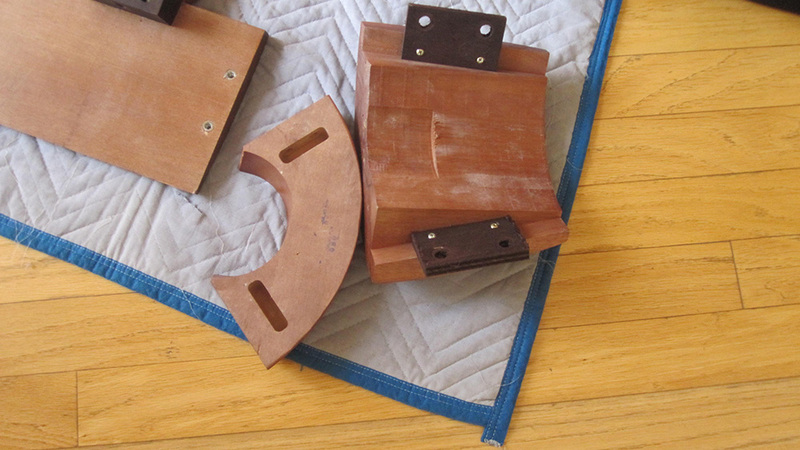 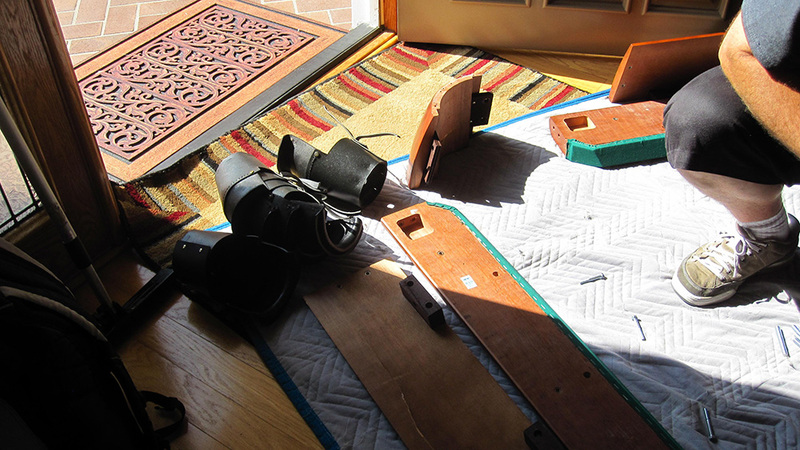 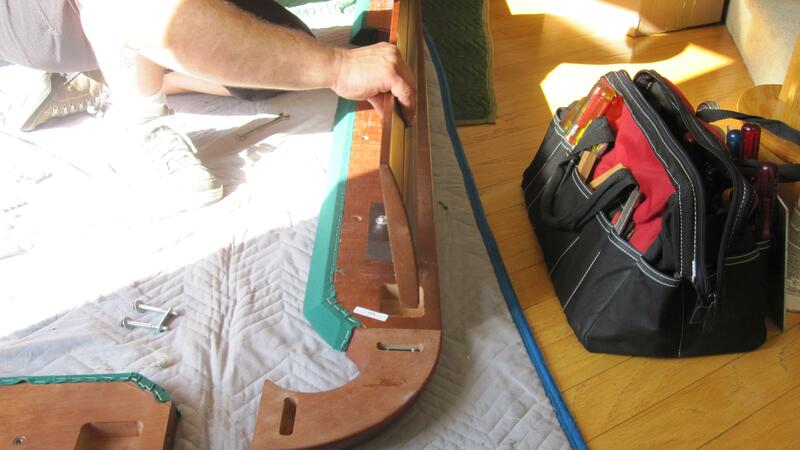 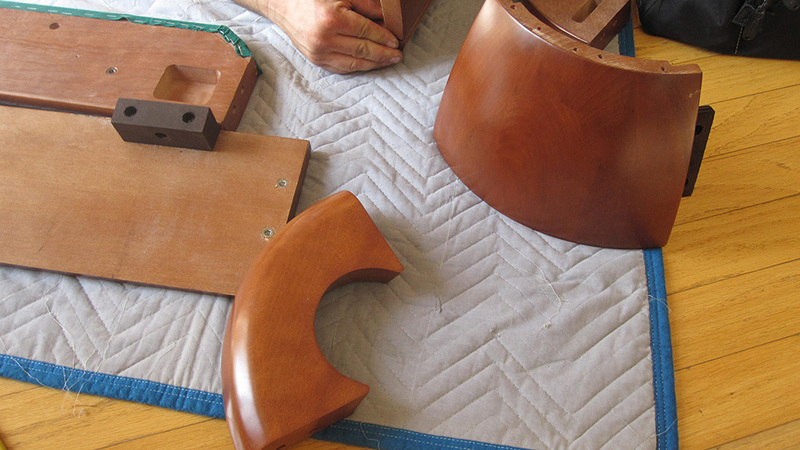 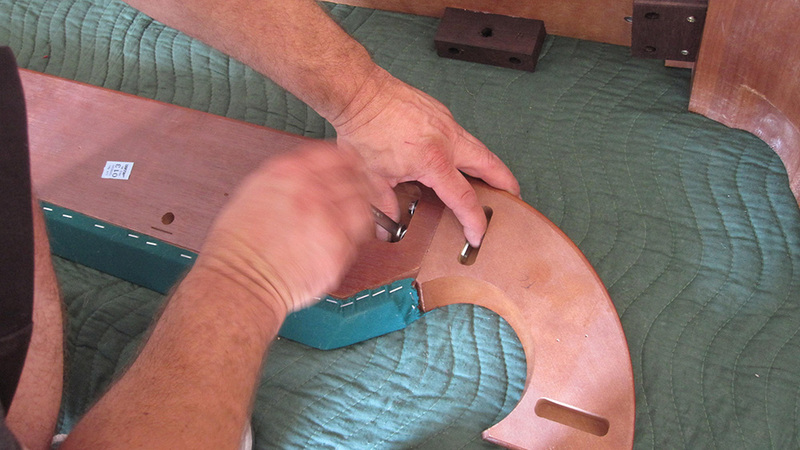 Also the original had top rails that were laminated with a rosewood veneer. 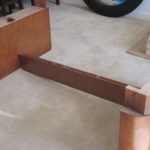 This model is a 4 x 8 foot, I don’t think the “Anniversary” was produced in a size smaller than 4.5 x 9 foot.